Familial idiopathic basal ganglia calcification (IBGC) or Fahr's disease is a rare neurodegenerative disorder characterized by calcium deposits in the basal ganglia and other brain regions, which is associated with neuropsychiatric and motor symptoms. Familial IBGC is genetically heterogeneous and typically transmitted in an autosomal dominant fashion. We performed a mutational analysis of SLC20A2, the first gene found to cause IBGC, to assess its genetic contribution to familial IBGC. We recruited 218 subjects from 29 IBGC-affected families of varied ancestry and collected medical history, neurological exam, and head CT scans to characterize each patient's disease status. We screened our patient cohort for mutations in SLC20A2. Twelve novel (nonsense, deletions, missense, and splice site) potentially pathogenic variants, one synonymous variant, and one previously reported mutation were identified in 13 families. Variants predicted to be deleterious cosegregated with disease in five families. Three families showed nonsegregation with clinical disease of such variants, but retrospective review of clinical and neuroimaging data strongly suggested previous misclassification. Overall, mutations in SLC20A2 account for as many as 41 % of our familial IBGC cases. Our screen in a large series expands the catalog of SLC20A2 mutations identified to date and demonstrates that mutations in SLC20A2 are a major cause of familial IBGC. 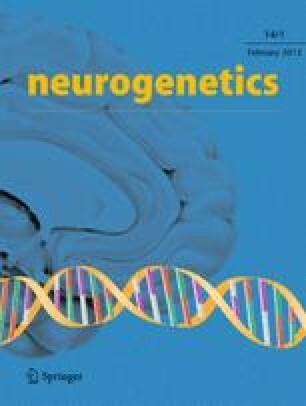 Non-perfect segregation patterns of predicted deleterious variants highlight the challenges of phenotypic assessment in this condition with highly variable clinical presentation. We would like to acknowledge and thank all of the participants and families for their valuable contribution to our study. This work was funded by NIH/NINDS (R01 NS040752 to DHG), CNPq (Conselho Nacional de Desenvolvimento Científico e Tecnológico to JRMO and MZ), CAPES (Coordenação de Aperfeiçoamento de Pessoal de Nível Superior to JRMO), FAPESP/CEPID (State of São Paulo Research Foundation to MZ), FACEPE (Fundação de Amparo à Ciência e Tecnologia do Estado de Pernambuco to JRMO), Australian NHMRC (program grant 510135 to PBM), Ministry of Education and Science, Republic of Serbia (grant no. 175090 to VK, MJ, VD, and IN), and NIMH (K08 MH86297 to BLF). MJS and BQ are supported by research contracts from the Institute of Health Carlos III, European Regional Development Funds (FEDER) and the Botin Foundation. JG is supported by NIH (PSO AG008702-22 to M. Shelanski). AEL declares that he has served as an advisor for Abbott, Allon Therapeutics, Astra Zenica, Avanir Pharmaceuticals, Biovail, Boerhinger-Ingelheim, BMS Cephalon, Ceregene, Eisai, GSK, Lundbeck A/S, Medtronic, Merck Serono, MSD, Novartis, Santhera, Solvay, and Teva; received grants from Canadian Institutes of Health Research, Dystonia Medical Research Foundation, Michael J. Fox Foundation, National Parkinson Foundation, Parkinson Society of Canada, and Ontario Problem Gambling Research Centre; received publishing royalties from Saunders, Wiley-Blackwell, Johns Hopkins Press, and Cambridge University Press; and has served as an expert witness in cases related to the welding industry. All the other authors have no conflicts to disclose.